The 2016 Big Horn RAM 1500 is one powerful truck loaded with features that boost its efficiency. Not only is its classic design nice to look at, its strong build is fun to drive. The RAM 1500 is also one of the most advanced trucks on the road when it comes to durability. After decades of evolution and rigorous testing, the RAM 1500 has made vast improvements in safety and security. The Big Horn RAM 1500 is known for its spacious Crew Cab but is also available with a Quad Cab®, and a Regular Cab. Along with the large amount of interior space, the exterior also has optional storage space. 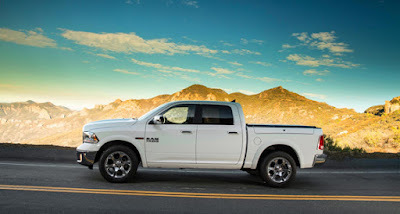 Most of the new 2016 RAM 1500 models have the all new RamBox® Cargo Management System option. This option includes a cargo bed extender/divider, cargo bed rails with four adjustable tie-down cleats, and new Cargo Box Lighting. With the RamBox Cargo Management System, finding secure storage space for tools, supplies, and other cargo is easy. While it comes standard with a 5.7-Liter V8 HEMI® MDS VVT Engine for those who value power and performance, the Big Horn 4x4 RAM 1500 is also available with a 3.0-Liter V6 EcoDiesel Engine for those who value fuel economy. Both come with and 8-speed automatic transmission and anti-lock 4-wheel disc brakes. In addition to all its mechanical features, this RAM is ready for rough terrain with its front and rear heavy duty shock absorbers that come standard in the Big Horn 4x4 model. The 2016 Big Horn RAM 1500 is ready for adventure and ready to work. Visit our website at www.melloydodge.com to view our inventory and to find more reasons to love this truck.